Michael Coxon, Dave O’Connor and Trent Barnabas came with a brilliant finish in Thurlow Fisher Lawyers to grab a one sec. 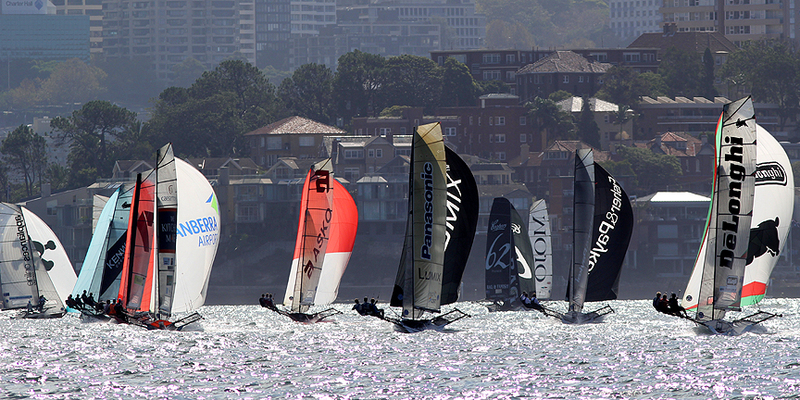 victory in the Australian 18 Footers League’s Race 11 of the Club Championship on Sydney Harbour today. 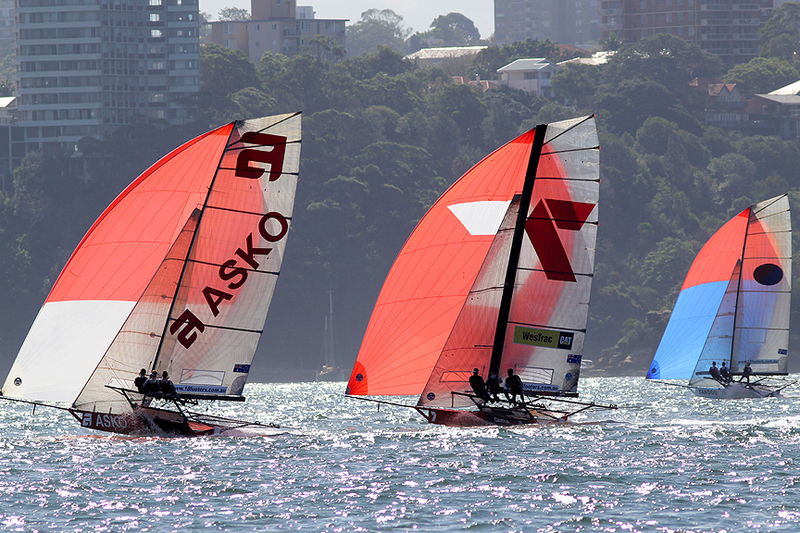 Today’s win also consolidated the team’s victory overall to take out the Club Championship by twelve points from the JJ Giltinan champion Gotta Love It 7 team of Seve Jarvin, Sam Newton and Scott Babbage. Thurlow Fisher Lawyers defeated Jack Macartney, Mark Kennedy and Peter Harris on Coopers 62-Rag & Famish Hotel, with an unlucky Mojo Wine (Trevor Barnabas, Mike McKensey and Ricky Bridge) a further 35 seconds back in third place. Appliancesonline.com.au (Micah Lane) finished fourth, followed by Yandoo (John Winning) and Smeg (Nick Press). 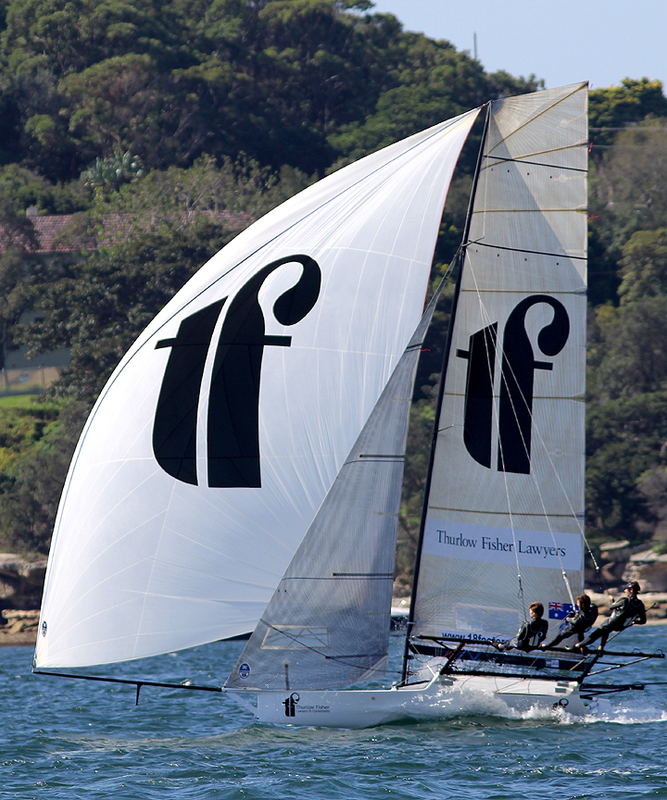 Thurlow Fisher Lawyers finished the championship on 40 points, Gotta Love It 7 on 52, Coopers 62-Rag & Famish Hotel was third on 61, Smeg 67, Mojo Wine 75 and Fisher & Paykel (Grant Rollerson on 79. John Winning, Andrew Hay and Jim Beck won the club’s Season Point Score by six points from Thurlow Fisher Lawyers. The 8-10-knot south east breeze provided competitors with good conditions for the final race of the season and spectators were treated to a great finish in a dying breeze. 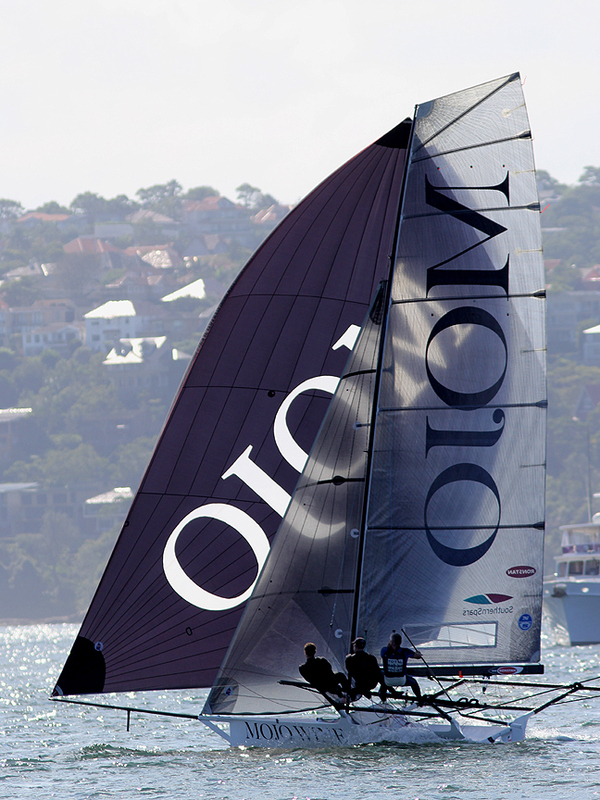 Five times JJ Giltinan champion Trevor Barnabas replaced Chris Nicholson as skipper on Mojo Wine and showed he had lost none of his ability to take a lead at the first windward mark. 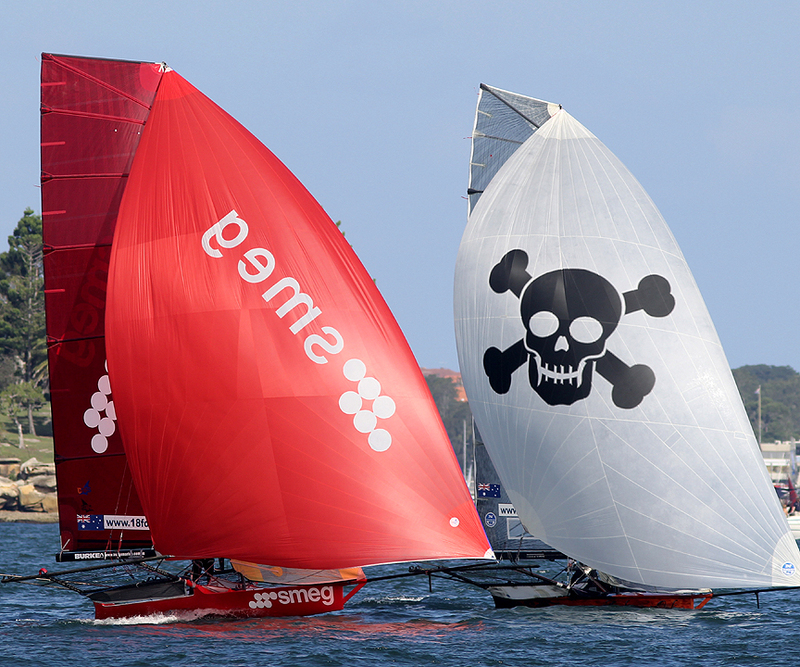 The Mojo Wine team continued to lead throughout the course with margins from as little as 2s. to as much as 55s. over Coopers 62-Rag & Famish Hotel. 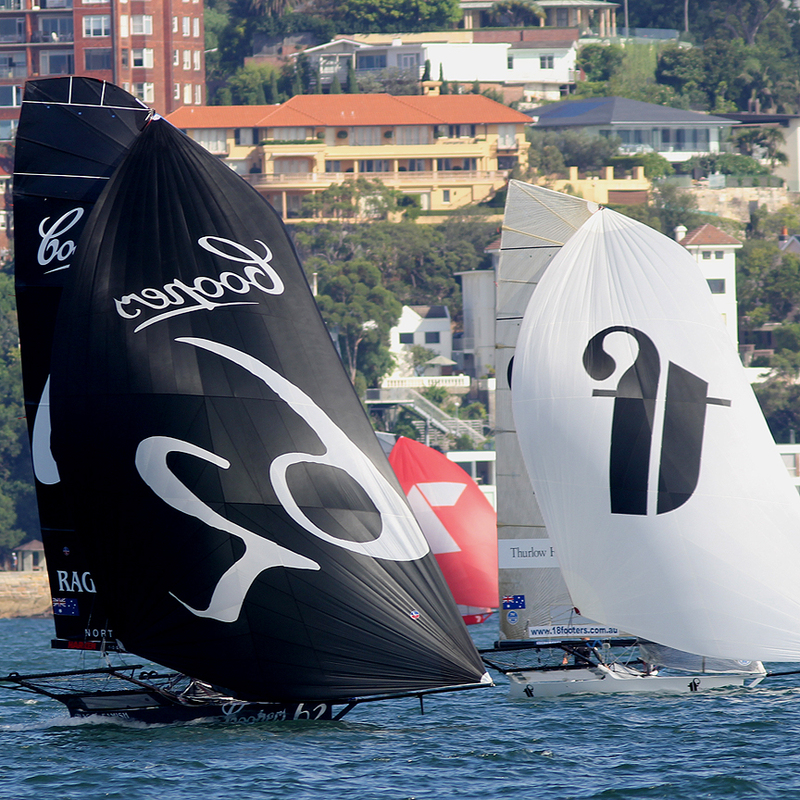 Mojo’s margin was still 42 seconds at the final rounding mark off Robertson Point and it looked a formality for Mojo and The Rag to record a one-two finish. 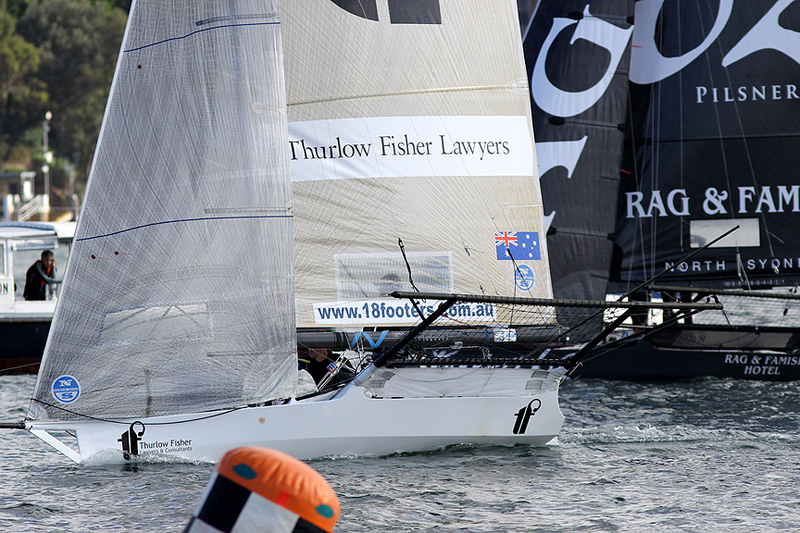 While the pair watched each other they were caught out by Michael Coxon and his Thurlow Fisher Lawyers team which picked up a more favourable breeze to grab a great win.